The team leader right now in plate appearances is Joey Votto Ã¢â‚¬â€œ as it should be Ã¢â‚¬â€œ but coming in at number two on the team is Jose Peraza. ItÃ¢â‚¬â„¢s been a wild ride getting there Ã¢â‚¬â€œ after being acquired from the Dodgers after the 2015 season, Peraza represented the Future of the Middle InfieldÃ¢â€žÂ¢ for the Reds, but was blocked by the Present of the Middle Infield, as old stalwarts Zack Cozart and Brandon Phillips still existed, wore Reds uniforms, and played 81 games a year at Great American Ballpark. When Zack Cozart hit the DL in August 2016, Peraza found an opening and started 36 of the remaining 41 games that season, most of them at shortstop. A healthy Cozart in 2017 would move Peraza back to the bench, but that offseason, the Reds paid the Atlanta Braves to make Brandon Phillips go away, and Peraza presumably had his every day spot again, this time at second base. He lost it midway through the season to surging Scooter Gennett, but the next offseason, Zack Cozart took his donkey out west to join Mike Trout and Shohei Ohtani in Los Angeles, and Peraza again found himself with an open every day position to fill. It really is comical the number of things that have conspired to keep Peraza out of the lineup in the last three years, but itÃ¢â‚¬â„¢s even sillier perhaps how many things have conspired to keep him in the lineup as well. In June 2018, however, Peraza finally finds himself in a desirable(ish) position: with no obvious heir apparent to shortstop, Peraza can assume the job is his for the time being and allow his performance to secure a role for himself long term. ItÃ¢â‚¬â„¢s the spot most youngsters with something to prove want to be in; unfortunately for Peraza, heÃ¢â‚¬â„¢s currently hitting .265/.299/.336 on the season, eerily similar to the .259/.297/.324 performance last year that lost him his job at second base, and people are again starting to murmur about whether itÃ¢â‚¬â„¢s time to kick Peraza out of a starting job for the third time in as many years. Detractors would argue that Peraza has a Top-100 Prospect resume and only just turned 24 in May, and perhaps 1,000 career major league plate appearances is too early to make decisions on Jose Peraza. So when is it no longer too early, and what would progress look like for Jose Peraza? LetÃ¢â‚¬â„¢s start with the team. The Reds have a strange relationship with their young players, to say the least, especially when it comes to performance leashes and playing time. Billy Hamilton has been one of the worst hitters in baseball for over 5 years and 2,300 PAÃ¢â‚¬â„¢s now, and he is in no danger of losing his job. Eugenio Suarez floundered like a fish out of water after he assumed third base in 2016, but Suarez was given all the chances he needed to adjust (since 2016 heÃ¢â‚¬â„¢s second to Votto in Reds PAÃ¢â‚¬â„¢s), and heÃ¢â‚¬â„¢s locked himself down in the best of ways. On the flip side, many of the young starting pitchers have needed only to fail for about a dozen starts before being cutoff; Cody Reed and Robert Stephenson come immediately to mind. Jesse Winker still has fewer than 500 major league PAÃ¢â‚¬â„¢s, and despite a strong 2017 and April 2018, all it took was a slump in May to lose himself a spot in the outfield rotation. 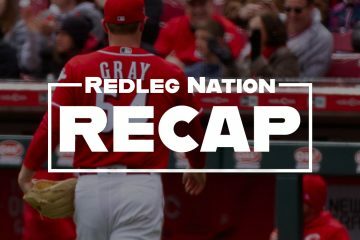 In short, the Reds seem to determine a playerÃ¢â‚¬â„¢s leash on the basis of several factors, only some of which seem to be related to that playerÃ¢â‚¬â„¢s specific performance. On top of how well they play, the immediate availability of other options appears to be a large factor in how the organization determines playing time, as well as the urgency for an upgrade at that playerÃ¢â‚¬â„¢s position. The Reds decided to have a low cutoff point for starting pitchers in 2016 and 2017 because there were always other options available (depending on whether or not you consider Tim Adleman, Keyvius Sampson, and Bronson Arroyo Ã¢â‚¬Å“optionsÃ¢â‚¬Â) and because the need for decent performances from their starting pitchers is absolutely critical. Meanwhile, Eugenio Suarez was afforded two consecutive years of unbroken playing time because there wasnÃ¢â‚¬â„¢t an obvious replacement at third base in Cincinnati or Louisville, and with Zack Cozart, Scooter Gennett, and Joey Votto all hitting out of their shoes, the Reds could afford to let their third baseman take his beatings for a little bit. In this respect, Jose Peraza is an interesting spot. 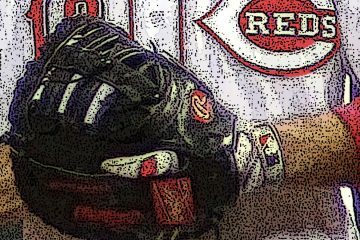 The Reds are out their ears in middle infielders at the moment: Jose Peraza, Alex Blandino, Scooter Gennett, Brandon Dixon, Nick Senzel, and Dilson Herrera are all capable of playing second base and could theoretically play in the majors right now, with Shed Long probably not more than a year or two away. However, out of that bunch, only Peraza, Blandino, and Senzel have had a real look at shortstop, and opinions are split on that group. Despite Senzel getting an extended look during spring training, heÃ¢â‚¬â„¢s played exclusively third and second in Louisville, and itÃ¢â‚¬â„¢s doubtful the Reds consider him an option at shortstop right now. And while Blandino likely has more life to his bat than Peraza, thereÃ¢â‚¬â„¢s not much to indicate that Blandino is seen as an everyday player right now, though he has made starts at shortstop this season. While Blandino (and in a pinch, Senzel) represent options should the Reds decide to call it quits on Peraza, itÃ¢â‚¬â„¢s likely Peraza will have to lose the position himself, rather than one of them take it from him. And with the rest of the Reds infield hitting, there isnÃ¢â‚¬â„¢t as much urgency for their shortstop to produce results at the plate as there is in, say, the corner outfield. So with the external factors in PerazaÃ¢â‚¬â„¢s favor, letÃ¢â‚¬â„¢s look at the internal factors. IÃ¢â‚¬â„¢m sure most readers here are familiar with Jose PerazaÃ¢â‚¬â„¢s basic hitting profile. Though heÃ¢â‚¬â„¢s never even remotely resembled a power hitter (in 532 career minor league games, Peraza hit only 11 home runs), he has always earned praise for his contact ability and speed, hitting .299 across all minor league levels with only 250 strikeouts and 220 stolen bases. The 4.9% walk rate in the minors is pretty worrying, but a 10.7% strikeout rate and a consistent average with good speed tools made him a highly regarded prospect, one that the Reds fought tooth and nail for. Before the domestic abuse issues came to light, the Reds were ready to send Aroldis Chapman to the Dodgers for Jose Peraza; when that fell apart, the front office organized a three team trade with the White Sox to ensure they landed the prospect. Upon reaching the majors, Peraza has basically played to his minor league hitting profile exactly, and Reds fans have seen the good and the bad that has come with that. Peraza has had flashes of brilliance that have shown the Reds just what he could be capable of: in September 2016, Peraza hit .330 and stole 8 bases in 28 games. HeÃ¢â‚¬â„¢s had streaks of weeks to even months at a time where heÃ¢â‚¬â„¢s hit for a high average, legged long singles into doubles, motored his way around the basepaths, and generally looked like a solid cog in what could be a great offensive machine. These streaks never seem to last, however, and Peraza has suffered through a sub-.700 OPS for a full season and a half now, even despite the hot streaks. A closer look at his hitting approach reveals how inevitable this regression is. The first thing to note is that Peraza never walks Ã¢â‚¬â€œ like, honestly never, even during his good streaks. His 3.9% walk rate in 2017 was sixth worst in the majors last year, and even during that impressive September 2016 stretch, he only walked 5 times in 122 trips to the plate. Not walking isnÃ¢â‚¬â„¢t necessarily a bad thing Ã¢â‚¬â€œ Dee Gordon actually walks less than Peraza, and weÃ¢â‚¬â„¢ll get to him later Ã¢â‚¬â€œ but what it means is that, aside from indicating a lack of command over the strike zone, PerazaÃ¢â‚¬â„¢s ability to produce at the plate is almost single handedly dominated by his BABIP. When you donÃ¢â‚¬â„¢t walk at all, you hardly ever strike out, and you canÃ¢â‚¬â„¢t really hit for power, youÃ¢â‚¬â„¢re essentially slave to your average. Now, I want to make a point about BABIP. A lot of people misunderstand batting average of balls in play Ã¢â‚¬â€œ while it does fluctuate more than most stats, players do have a level of control over their BABIP. Fly balls go for hits more often than ground balls, and line drives more often than fly balls, meaning a player that hits more line drives is more likely to get hits and therefore should have a higher average BABIP. For example, Joey Votto hits line drives 25% of the time on his career, more than the league average 20%, which means that VottoÃ¢â‚¬â„¢s career .353 BABIP isnÃ¢â‚¬â„¢t a fluke, but rather a consequence of good hitting. PerazaÃ¢â‚¬â„¢s hitting profile doesnÃ¢â‚¬â„¢t help him in this category. While he does hit line drives slightly more often than average Ã¢â‚¬â€œ 23% of the time Ã¢â‚¬â€œ he also makes a lot of soft contact. In 2017, 26% of his hits went for soft contact, against the league average 18%. Only 21% of his hits were for hard contact, against the 32% league average. HeÃ¢â‚¬â„¢s doing slightly better this year, hitting 25% hard balls, but still well below where he should. As a result, his .280 BABIP this year isnÃ¢â‚¬â„¢t necessarily Ã¢â‚¬Å“dueÃ¢â‚¬Â to trend upwards; rather, one would expect his BABIP to have a normal value a little below average, since he doesnÃ¢â‚¬â„¢t hit the ball in the air with authority as often as the average hitter. I brought up Dee Gordon earlier because when talking about how long PerazaÃ¢â‚¬â„¢s leash should be, itÃ¢â‚¬â„¢s important to discuss his ceiling, and I think Dee Gordon is a good place to look in that respect. Peraza is never going to be an All-Star; in fact, I think Jose PerazaÃ¢â‚¬â„¢s ceiling is as a solid, reliable everyday player, and nothing more. ItÃ¢â‚¬â„¢s hard to build a career around a lack of walks, a lack of power, and weak contact. But itÃ¢â‚¬â„¢s not impossible. In eight major league seasons, Dee Gordon has only once posted a walk rate above the average 8%, and only once posted a slugging percentage above .400. His hard contact rate is even worse than PerazaÃ¢â‚¬â„¢s, a career 16.2%, and hits ground balls a remarkably high 57% of the time. Yet, he has been worth an average of 2.7 fWAR per 162 games, a perfectly acceptable (if not even above average) level for an everyday major leaguer. A large part of this is taking full advantage of his speed: Gordon has 81 bunt hits and 148 infield hits in his career. If he got bunt hits and infield hits at league average rates (34% and 6.7%, respectively), his career BABIP would be .317 rather than .344, and his career average would be .271 rather than .293. But Gordon uses his elite speed to hit safely 41% of the time for bunts and 11% of the time for infield hits, elevating what should be abysmal offensive production and turning it to just below average (career 93 wRC+). He also adds spectacular value through his defense and baserunning: since 2011, his cumulative BsR total is fourth in all of baseball according to fangraphs, behind Mike Trout, Billy Hamilton, and Rajai Davis. He is also one of the consistently highest rated defensive second basemen in the game, or was until the Mariners moved him to centerfield. This has helped elevate his performance from subpar to above average, making him a useful tool in the Marlins and Mariners lineups. Jose PerazaÃ¢â‚¬â„¢s ceiling is probably to be Dee Gordon. The two things Peraza has going for him are the same two things that Dee Gordon does: he has a fantastic ability to put the ball in play, and he is very very fast. He will never be a prototypical offensive contributor, but if he can utilize his speed to reach base more frequently, run the bases with efficiency, and play a strong defensive shortstop, he still has the ability to be a useful player on a winning team. He has wiggle room in the organization Ã¢â‚¬â€œ there isnÃ¢â‚¬â„¢t someone ready to take his spot right now, and the Reds are particularly easy on soft hitters if they have a good glove, not to mention heÃ¢â‚¬â„¢s only 24 years old. But if his ticket to a job on this team is to reach a ceiling of Ã¢â‚¬Å“just above averageÃ¢â‚¬Â, it is probably important that he reach that ceiling sooner rather than later. It’s been said a lot but we really need an upgrade at either center or shortstop. It’s so much easier to have just one of Billy and Peraza in the lineup than it is to have both. My thoughts exactly. The rest of the infield is great when it comes to htting and should allow for Peraza’s bat in the lineup. However, when you have Hamilton & Duvall in the outfield you simply cannot afford 3 black holes plus the pitcher’s spot in an everyday lineup. Well maybe if you had elite pitching but we don’t have that. Terrific post, Jackson. On the one hand, Jose Peraza is just 24. On the other, he hasn’t improved his game and because of that has a low ceiling. Most teams that make the postseason have a SS that provides above average value. Hard to see Peraza ever doing that. There is a lot of good writing in the piece, but when the central premise is wrong/off, it takes away from it all. Speed never ages well, and now at age 30, Gordon is projecting as a 1 WAR or so player. But, if Peraza’s ceiling truly is as Dee Gordon’s, then Senzel will end up somewhere other than SS. I’d say his leash isn’t too much longer with Senzel and Herrera knocking on the INF door. What he does have going for him is what the organization gave up to get him. A young GM (and his Uncle) aren’t gonna be too eager to make themselves look bad, if in fact, Peraza turns out to be a dud. If he’s not slashing .275/.305/.400 by September call-ups, they may start giving a look at other options. Well, they also got Schebler in the same trade. That’s paid off well, even if Peraza is still a question mark. Senzel and Herrera don’t play SS. The problem with the Dee Gordon (or Billy Hamilton, for that matter) comp is that I see little evidence that Peraza will ever be above average with the glove, let alone elite. I know there are more complex stats out there, but range factor per 9 innings is a decent place to start. Through 155 games at SS, Peraza has a RF/9 of 3.87, while the league average is 4.12. That makes him about a 94 on the ever-popular 100-point scale, and does not pair nicely with his 76 on the offensive (OPS+) side of things. Wish it wasn’t so, but I’m not hopeful. The kid does have talent! He makes contact and could be a pesky hitter if he didn’t chase so many pitches. He’s athletic and it seems like his range is increasing at shortstop, BUT I’ll say it again….he just doesn’t have a high baseball IQ! On Sunday, he rounds 3rd with nobody out and then stops halfway home and just stands there with hands on hips? His run has to score there? He also seems to have some weird Jon Lester (throwing to bases) type of hangup with line drives? Harvey was pitching with bases loaded & nobody out….the ball is hit hard and Peraza’s first instinct is to ole’ the ball and sidestep it, but the ball actually tails right into him and hits him in the midsection. He still finds a way to drop a ball that is seeking him out and it ends up costing them a run. Bottom line….decent potential and athleticism but GABP is the wrong park and the Reds are the wrong team. Give me India jacking 3 run HRs like last night! I hate to wish injury on anyone, but I almost hope Peraza gets injured so the Reds might have to slide Suarez back over to SS and call up Senzel to play 3B. I really, truly believe that what Suarez figured out at 3B will translate back to his old position of SS, and it will stop the silly experiment of trying to shoehorn Senzel into a new position when his bat is obviously ready. If Suarez and Senzel perform, I think Peraza becomes a bench player/backup infielder, and the left side of the infield is finally, truly sorted going forward. Then the next item of the business is to trade Scooter for a CF (or heck, try Scooter in CF himself!) and let Peraza/Blandino share time at 2B until Herrera/Long/Downs/India take control of 2B. That would sort the OF too, and basically the Reds’ offense would be ready to compete. the fact that they are promoting Hunter Greene as picher and not a short stop (which blows my mind by the way ) tells me the reds are set on Jose Peraza at ss for the foreseeable future. I don’t think this is a bad thing actually. I like watching him play. I was at the game Tuesday and he was flying around the bases on the double by barnhart. votto, suarez, scooter, winker probably don’t even make it to third on the play and he scored fairly easily. he plays hard and is durable as hell. he seems to be getting better in the field each time I see him and seems to be a hard worker with a good attitude. I don’t think he will ever be a barry larkin but he could put up concepcion type numbers albeit with less defense. like davey I think he has the mentality to be a pretty good clutch hitter too. Ideally, the bottom 2 groups would be flipped, or there would be another fast player on the team, but as long as the Reds are emphasizing OBP over speed (which they should), it shouldn’t matter THAT much, although as you said, it definitely limits scoring opportunities once they are on the bases. Statcast publishes a list of measured footspeed (ft/sec) for MLB players. I saw a similar post on RLN 6-8 weeks ago. Avg MLB speed is 27.0 ft/sec. I expect Schebler is the 3rd fastest on the team, that isn’t a pitcher. He is not slow, that’s for sure. Bottom line….opponents are going to hit cheap HRs in GABP. If they have 6-7 guys capable of hitting HRs and the Reds are still running Jose, Billy, Tucker, and Winker out there then they’re at a major disadvantage! Seattle has that ocean air and has always been a pitchers park. They can get away with a Dee Gordon much easier. I’m also tired of seeing other teams phenoms play while I have to read about Senzel, Herrera, etc! Jonathan India will be 22 in December. He’s got Javier Baez type of bat speed/power with much better plate discipline. They could probably roll him out there next year at shortstop and I’m guessing .265 with 15-20 HRs. Peraza is a guy that you will always have to carry in the lineup. Looking past Peraza is staring into oblivion. The Reds have 0 ss in the organization that project to be plus players at the position. Maybe Jeter Downs can become a capable defensive ss but it’s not likely. Jose Garcia & Alfredo Rodriguez just plain haven’t hit & possibly never will. Whatever happened to Calte Daal? It’s a lousy shame that Peraza is all the Reds have at ss, but it is the truth. As someone who is known to value him more highly then many who write and post here, I also acknowledge that he has flaws/room for improvement. Although I strongly assert that the idea that he has trouble with line drives is a silly canard. I think That the Reds have higher priorities currently, Much higher than Jose PerazaÃ¢â‚¬â„¢s play at shortstop: hiring of a new manager, the rotation, and our outfield, to name just three. My guess is that Jose PerezÃ¢â‚¬â„¢aÃ¢â‚¬â„¢s future with the Reds will be decided by the end of spring training next year. On a sidenote – are there any defensive metrics that have gained widespread acceptance? He has absolutely dropped 3 line drives this year, and 3 last year. Even an average MLB player might drop 1 in his CAREER. I truly can’t recall seeing anybody else ever drop one. I don’t see every game, but I never see infielders drop line drives, and Peraza has 6 in two years. Yes….but a run scored on the drop. Otherwise Peraza doubles the guy off 2nd…who was halfway to 3rd. Harvey got the next guy out. His leash is until the end of this year.That gives the team 2+ years of data to look at which they won’t and he will return next year as the starter.I can live with it but sure wish he could walk some more and quit slapping at the ball and come out of his shoes when he swings.Send him the memo signed by all of the players that reads its ok to strike out but when you make contact the bleeders to right have to stop. This was a very fine article and evaluation. I think that Peraza, and Hamilton too for that matter, have to learn that their best value to the offense has to be in OBP and Runs scored. Those have to be their most important stats. It is not in batting average and stolen bases. Hamilton seems to be getting that message to a degree with a better BB%. But he is still falling short of getting on base. Hamilton seems to have steadied his feet in the batters box over the last few weeks. There also are not as many fake bunt attempts as before, as this caused Hamilton to be moving around in the box. I have no idea why Hamilton did so many fake square around to bunt only to pull back with no real intent on bunting. A bunt from Hamilton has to have the element of surprise with it, and his fakes were just diminishing any element of surprise there was. It just seemed like every time he would do one of those fakes, it just reminded the infielders to beware of the bunt with Hamilton up. The 3B and SS moved in a step or 2. It is part of what killed Hamilton’s bunting ability. The defenses almost always seemed ready for a Hamilton bunt. Even when Hamilton had a good bunt the defenses were ready and threw him out a lot. Maybe Dee Gordon can teach Hamilton the nuances of bunting this winter. Now Peraza is not a bad bunter. But it really isn’t part of his game unless called upon for a sac. bunt. If Peraza has a runner on third base with less than 2 outs, I would start to have him execute more safety squeezes. If he is successful in those endeavors it just increases his value to the offense. It just peeves me when the Reds have a runner on 3B with 0 outs or 1 out and they can’t get the runner in to score. Other than more hits and more BB’s, the only other way to increase OBP is by a HBP. Maybe Peraza could crowd the plate on some AB’s and take one for the team more often. But that also increases the risk of an injury. As they are today, Peraza and Hamilton are not really the Dee Gordon types. They just aren’t as savvy as a hitter that Gordon is. The thing with Gordon was he had a good first year in LA after he was called up, similar to Peraza in 2016 for Cincinnati. But Gordon’s next 2 years were as a .230 hitter. The next year he hit fairly well for LA and they promptly traded him to Miami. Gordon then flourished hitting in front of Yelich, Stanton and Ozuna. That may give pause to those who want to bench Peraza, as Peraza is in that year 2 after his call up. Gordon blossomed in year 3, so that would be 2019 for Peraza if he were on a similar trajectory. Maybe Peraza’s leash should be to the end of 2019. Impatience won’t give him that long to find out. I would imagine that the leash is as long as this season is. If both don’t see improvement in their OBP and Runs scored by then, both could be in different spots next year, the bench, or different uniforms altogether. And that goes for Duvall too as his leash length is also very questionable. The Reds lineup cannot sustain the P, Hamilton, Peraza and Duvall in the same lineup all with sub-.300 OBP’s. These 3 need to get their OBP’s up to at least .330 to be a viable starter going forward. If they don’t, changes will be a comin’. I think Peraza gets the remainder of the year and then things interesting for him. I don’t think he loses the job outright but he’ll start losing playing time to someone not on the roster yet or playing more of a utility role. He has shown some improvement in the field and shows flashes of power that make him an intriguing young shortstop. When you’re talking about letting the kids play, people here forget that Peraza is almost a year younger than Jesse Winker and Alex Blandino, not to mention that he’s younger than Sal Romano, Robert Stephenson, Luis Castillo, and Cody Reed. The kid was rushed and is correctly getting some time to develop (although I think Alex Blandino should certainly get more chances than he is currently to prove he can cut it as well). I don’t think he can ever be like Dee Gordon. As mentioned Dee has multiple tools; Peraza does not. Peraza does NOTHING well, except for run fast, which has not contributed to being good on the bases, and make contact, which has not contributed to an elevated batting average. Peraza is a terrible defensive player, terrible on the bases when considering his speed, and quite frankly doesn’t make use of his speed by bunting for base hits. I am so over the time spent watching this kid play, when he will never be an MLB starter on another team. His leash will last until they have someone to replace him. And right now is probably the wrong time for this article considering his current line for the month of June is .311/.364/.377. That’s more than acceptable for a 24 year old shortstop who has an above average glove. Great post. I agree with the Gordon ceiling comp – but what we need to realize when you say ceiling is that refers to someone’s 90% possible outcome curve performance. That implies a 1 in 10 chance he gets that high. Gordon has 3 seasons with more than 3.5 FWAR – in his age 26, 27 and 29 seasons. That is a very good player – but many players with similar skill sets don’t reach that ceiling and don’t become regulars. I think he is a really useful bench piece – SS, CF, PR on a really good team. Anyway – as to his leash – the trade deadline will be an uneasy time for him. The Reds may move some position redundant pieces to try to acquire a young shortstop with a different profile. At least I would. I can’t but help agree that the amount of leash being given to Pereza in contrast to other’s is confusing. Especially when it comes to Winker. Only thing I will take exception to is connoting Suarez’s 2017 year to “a fish out of water”. 🙂 He still OPS .728 on the year, hit 21 HR’s, and increased his RBI’s by 22 in his first full year of baseball. I would love it if Peraza’s worst year was anything close to this, but as we are seeing his floor is much lower as is his ceiling. I wish Peraza could flounder his way to a .728 OPS….